SousVide Supreme Premium Handheld Zip Sealer. 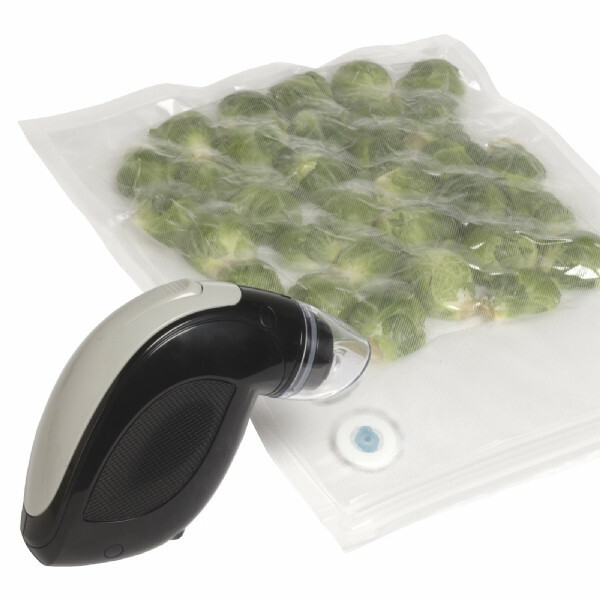 This sealer is ideal for use with Zip Sealer Pouches WITH VALVE to package foods for sous vide cooking and storage. 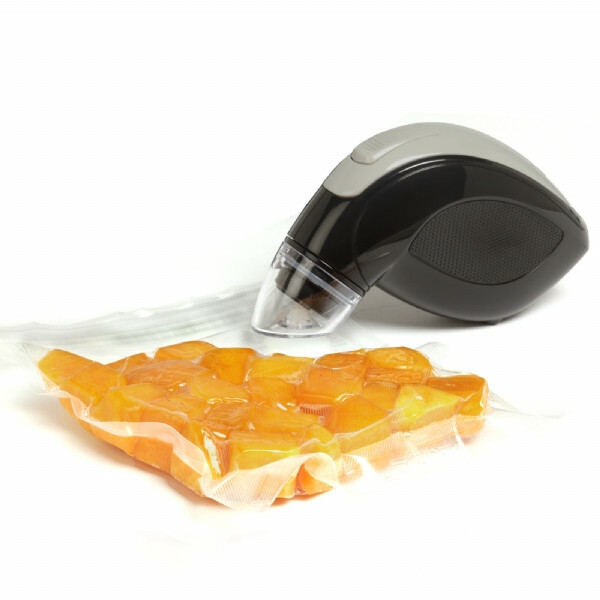 A powerful hand-held vacuum sealer. • Put food into a Zip Sealer Pouch and seal the zip closure at the top of the pouch with your hands. 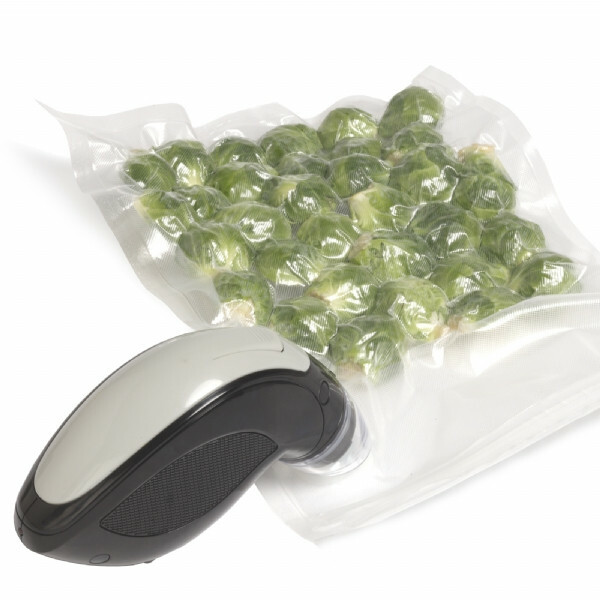 • Put the pouch on a flat surface, and place the zip sealer's suction nozzle on the sealer valve on the pouch. 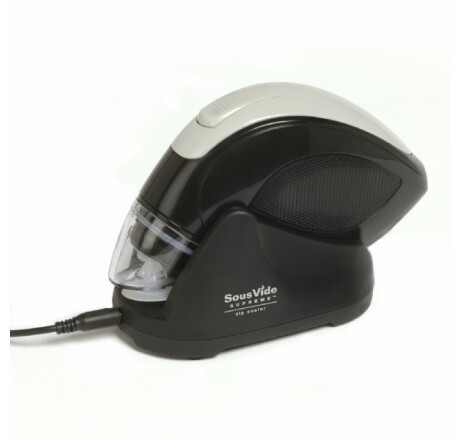 • Continuously depress the zip-seal button on the sealer to activate the suction function. Release the button when the air has been evacuated and the pouch has shrunk around the food. • Gently press the center of the valve with your finger to complete the sealing process. • Submerge the pouch in the water bath, or refrigerate or freeze for later use.